Simple, cozy, precise, contemporary, minimalistic” were all adjectives that the owner of this three-bedroom residence used to describe their to-be-designed home. Add to the mix was the fact that the house was to be set in the middle of a New England apple orchard. At the end of the design process, the spaciousness of the interior spaces defies the modest size of the house at 3,000 square feet. 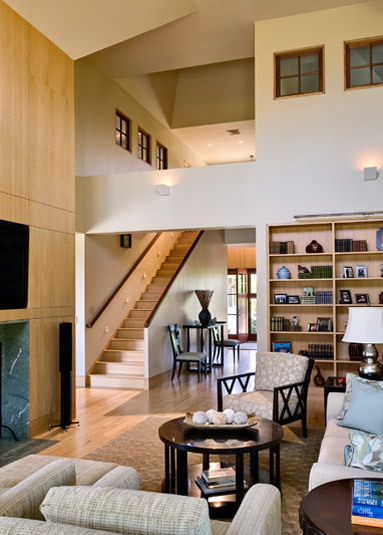 Because many of the rooms have vaulted ceilings, the house’s interior evokes a home that is much grander in scale. 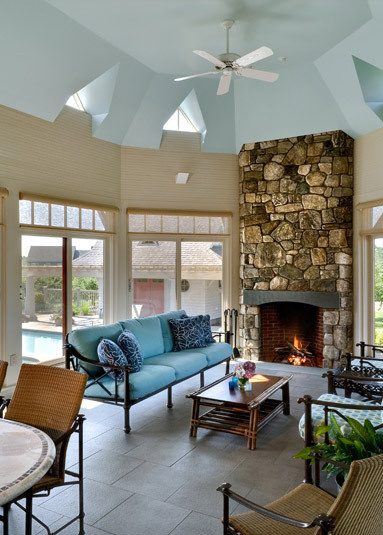 High dormer windows in the two-story space flood the main living areas with natural sunlight throughout the day. 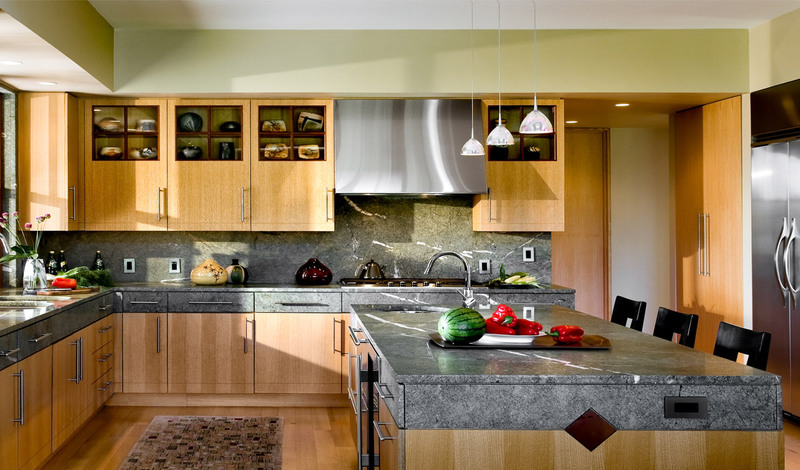 Indirect lighting bounces light off the ceiling at night, creating soft ambient illumination that gives the home’s interior a warm and cozy glow. Interior windows are strategically placed to capture framed views of the apple orchard as well as to maximize natural sunlight and ventilation. 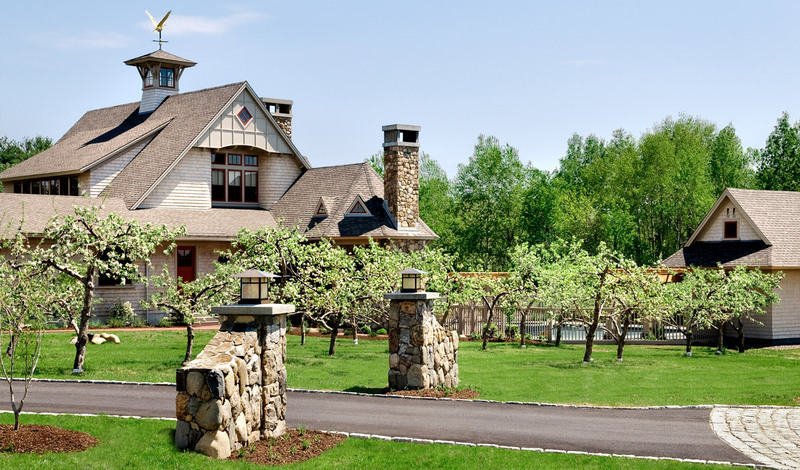 The exterior of the home uses cedar shingles, brick and fieldstone; a natural palette indigenous to New Hampshire and one that blends seamlessly with the hues of the surrounding apple orchard. 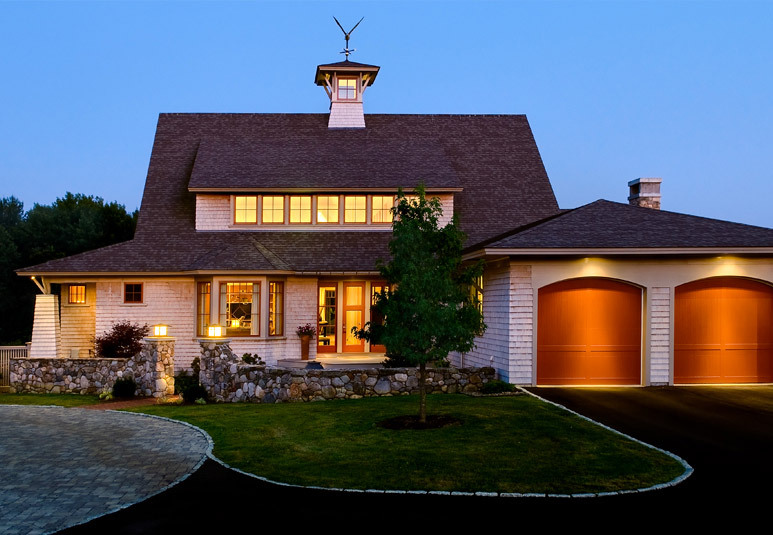 Two fieldstone chimneys rise out of the home’s stone base and act as visual anchors tying the house to the landscape and serve as a vertical counterpoint to the low-slung horizontal massing of the house. The outside pool is nestled close to the house and is accessible from numerous vantage points. The second floor gable windows are recessed two feet into the exterior wall plane, requiring the exterior wood shingle skin of the building to gently wrap into the inset windows. This subtle play of planes creates deep shadows which accentuate the three-dimensionality of the building’s exterior massing. 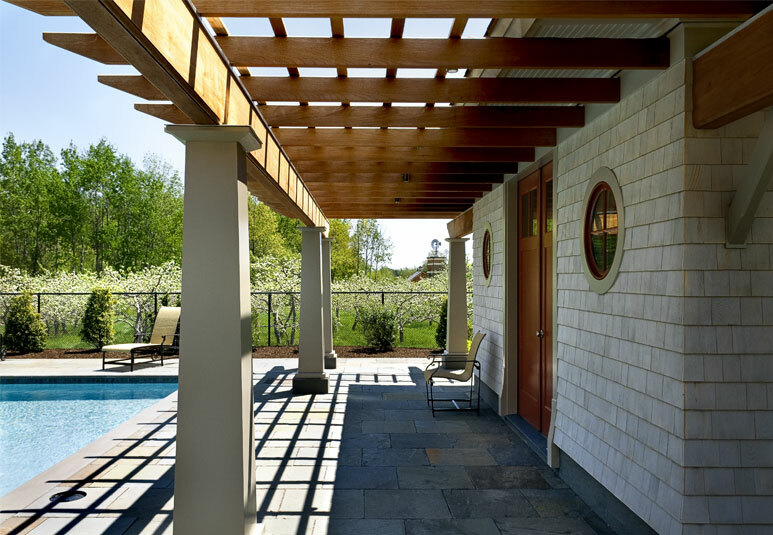 The overall design solution takes advantage of the site’s natural beauty while creating an exterior that reflects a New England architectural vernacular combined with a clean contemporary interior that possesses natural warmth and an inviting ambience.